The message to local politicians at the Northern Ireland Food and Drink’s Association’s (NIFDA) Annual Dinner was loud and clear – a local voice fighting for local business interests is essential if the economy has any chance of surviving and thriving in a post-Brexit world. The organisation also strongly backed the draft EU withdrawal agreement, saying that it was vastly better than a ‘no-deal’ scenario. The event was held in partnership with Danske Bank at Belfast’s Hilton Hotel on Thursday 15th November and was attended by around 270 industry leaders and political representatives. Now in its 22nd year, the event provides a unique opportunity for the food and drink industry to discuss how the industry can overcome challenges and continue to grow. John Paul Scally, CEO, Lidl Ireland, was the keynote speaker at the event. 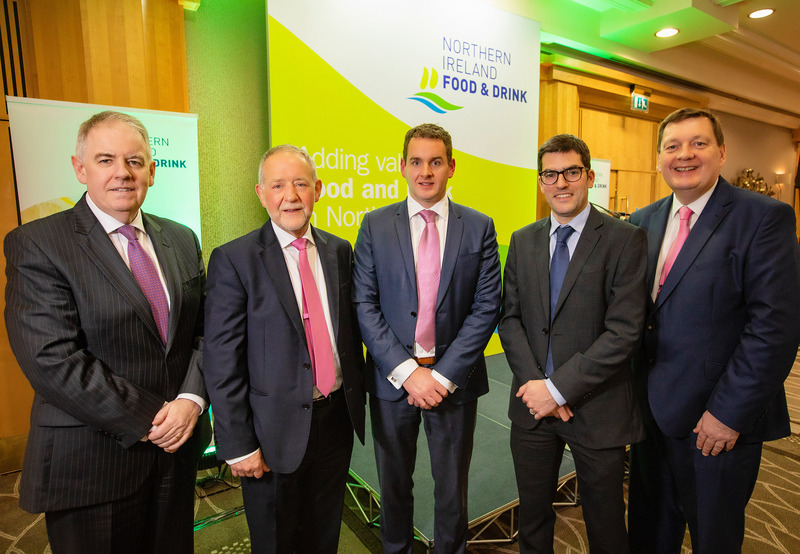 “Credit is due to the industry for continuing to innovate and grow during extremely uncertain times, and NIFDA is committed to supporting the agri-food sector through events, programmes and lobbying of government on key issues. However, never before have we faced such turbulent times and we simply cannot put up with a vacuum where there should be strong and decisive leadership which is actively listening to and supporting local businesses. “Northern Ireland is, of course, uniquely affected by Brexit, and many of our lobbying efforts in the last two years have been focused on how to best address the specific challenges facing the agri-food industry. We are currently involved, along with 20 other business organisations in Northern Ireland, in fighting the case for regional flexibility when it comes to immigration policy. The voice of business is growing louder, and the pressing needs of our economy must be prioritised over historic differences. “We deserve to have leaders that will champion and support our industry, and our region, through the challenges of Brexit – to exploit the opportunities that lie beyond,” he concluded.